The information below applies to the Kenny Loggins and The B-52s concerts presented by OC Fair & Events Center, during which outside food and beverages are not permitted. Enjoy a spectacular evening out with family and friends with great music and cool summer breezes. 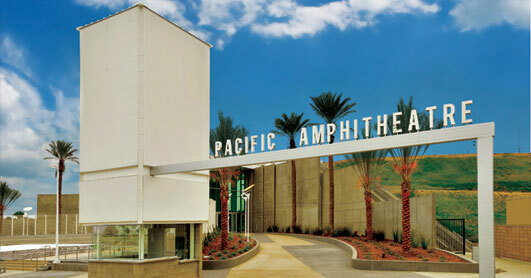 Pacific Amphitheatre is a casual, carefree environment, so dress comfortably and let the fun begin. 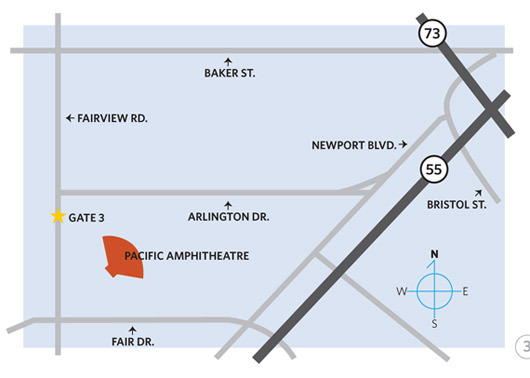 If you have not yet been to a concert at Pacific Amphitheatre, this site will impart the information you need to enhance your experience and prepare you to feel right at home. Hours: Saturday 10 a.m. - 4 p.m. Hours: Monday-Friday 9 a.m. - 5 p.m. The 5, 22, 73, 91 and 405 Freeways all connect with the South Newport (55) Freeway. Exit Del Mar/Fair Drive. 5 South or 405 South to 55 South, exit Del Mar/Fair Drive. 91 West to 55 South, exit Del Mar/Fair Drive. 5 North to 405 North to 55 South, exit Del Mar/Fair Drive. After exiting the freeway, follow directional signage to available parking. After exiting the freeway, follow directional signage to available parking. Lot D provides easy access to the box office. Handicap parking can be found at Lot B or Lot F.
The comfortable seats at Pacific Amphitheatre are brand new stadium seats: They have armrests and cup holders, and plenty of legroom, but no padding. Are there hand rails/guard rails to hold onto when walking down the stairs? There are no hand rails, but the facility is ADA compliant with plenty of wheelchair seats! 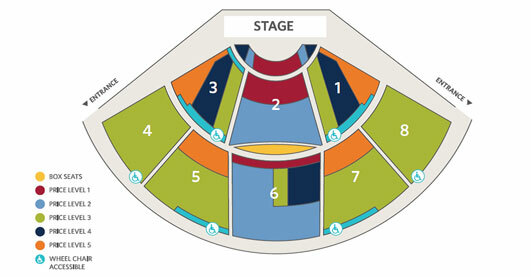 Where are the restrooms in relation to the seats? 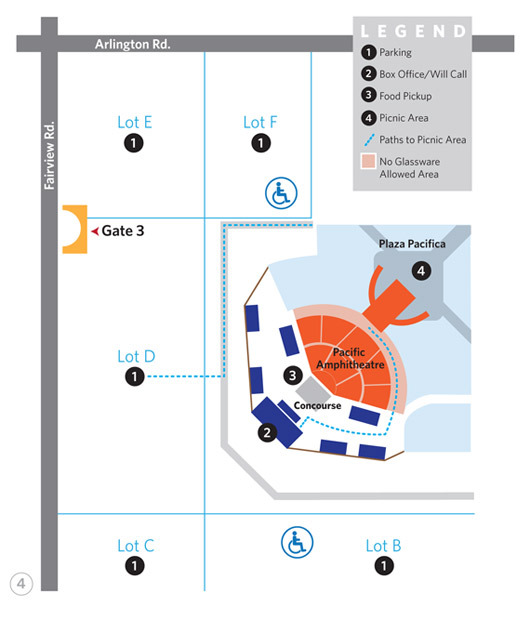 Restrooms are conveniently located, on either side of the main concourse near the box office and at Plaza Pacifica. Are umbrellas allowed into the venue? Unfortunately, umbrellas are not allowed inside the venue. What food options will be available for purchase? At least two food vendors will be open: Stage Right Grill and Stage Left Grill. The menu includes hot dogs and hamburgers, as well as more upscale options like chicken piccata and prime rib sliders. Will there be vegetarian options? Yes, the vegetarian option is a roasted vegetable wrap. Am I allowed to bring in outside food and/or drinks for the Kenny Loggins and The B52s concerts? Unfortunately, outside food, soft drinks, beer and wine will not be allowed at the July 12 and July 20 concerts. How far is the parking lot from the amphitheatre? Steps away! Parking is significantly improved from the experience at Irvine Meadows Amphitheatre. From the time you park, you are only minutes away from your concert experience. Am I allowed to picnic during the Kenny Loggins and The B52s concerts? Unfortunately, picnicking is not allowed at the Kenny Loggins concert on July 12 and the performance of The B52s on July 20. Outside food, soft drinks and wine will not be permitted at these concerts.